We have a long weekend trip coming up with kids. And the one thing I have learned is, when traveling with kids you need to be organized! Yoonsic makes a portable waterproof toiletry bag travel organizer that is perfect for those weekend getaways and road trips. Since ours is a long weekend road trip this bag is going to work out well. This is a compact bag so I won’t be able to keep both of Peyton’s toiletries and mine in one bag. We would need two. One for each of us. Yoonsic’s bag comes in eight different colors/designs to choose from – navy blue, pink, navy blue with white polka dots, green, light blue, rose red and a print. You can have a different case for every member of the family! There are two side compartments which are great for storing cosmetic brushed or even toothbrushes. They zip shut and are separate from the inner/main compartment. 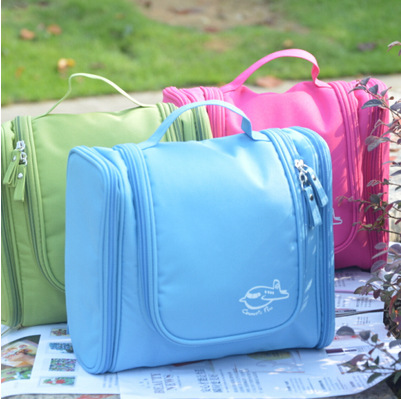 The main compartment has 2 zipper pouches in the lid. I would store little things in here like maybe necklaces and earrings. 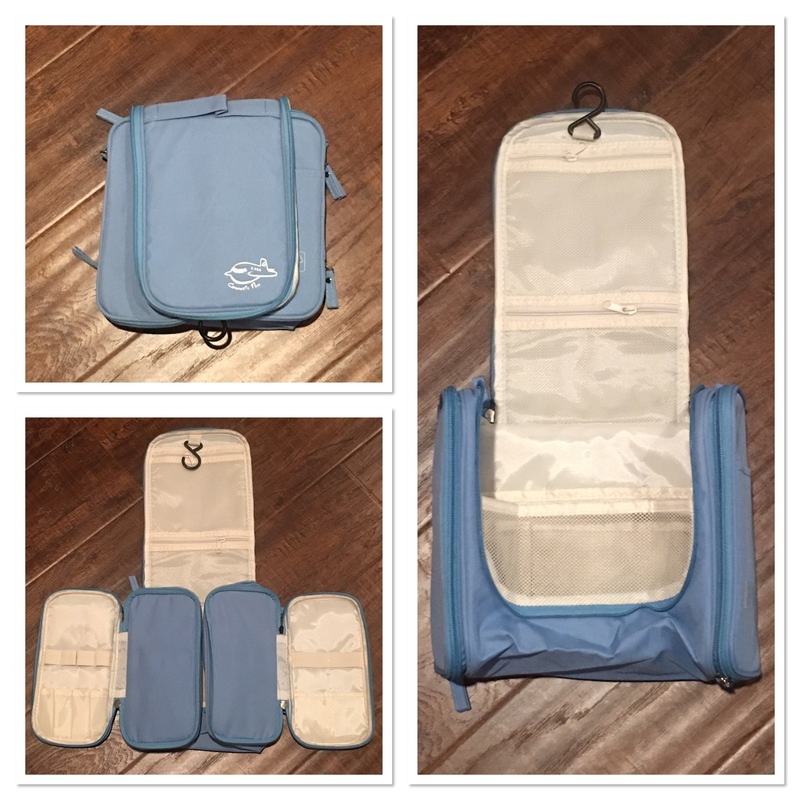 There are several more mesh pockets inside that are ideal for keeping yourself organized. But you can also store bottles standing up right inside. I stored my cleanser, toner and moisturizer by placing them inside the bag. I was able to zip it shut with no problem. Whenever we take a road trip there are bound to be spills and mishaps in the car. And nothing will agitate me faster than my cosmetics getting ruined from someone spilling a bottle of water. A whole bottle of water inside the car. This may have happened in the past. And I may have been a tad upset. With the Yoonsic bag I don’t have to worry. It’s a waterproof bag so nothing is going to get in and saturate my eyeshadows and blushes. And the last feature I’ll tell you about is the little hook. So when I am getting ready to use my bag I can hook the bag to the back of the door or even on a towel rack. That way it is up and out of my way. I like to then take everything out that I want to use and place it on the counter. Then as I use them I put them back in the case. That way I never leave something behind. You can purchase your own Yoonsic travel bag on amazon in a variety of colors and patterns.